I was so surprised when Stu turned into the driveway of the Bellingrath Gardens! 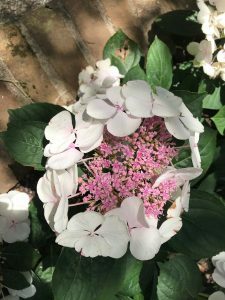 I am a Master Gardener and LOVE gardening. 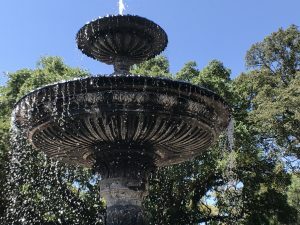 Stu had told me our next stop was a surprise but, I had no idea it would be the 65-acre splendiferous Bellingrath Gardens! Walter Bellingrath was one of the first Coca Cola bottlers in the southeastern United States. 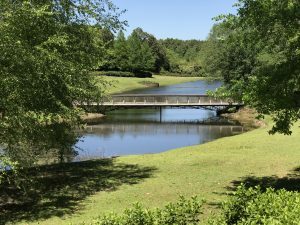 The gardens surrounding his home were opened to the public in 1932 and is the oldest public garden in Alabama. 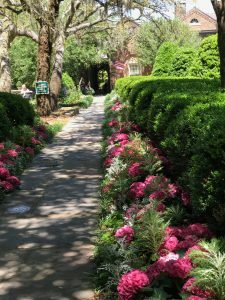 The Gardens are listed on the Alabama Register of Landmarks & Heritage and on the National Register of Historic Places. The gardens were originally used as a fishing camp by Mr. Bellingrath. His wife, Bessie, developed the gardens working with architect George Bigelow Rogers in 1927. Their home is now a 15-room museum. The gardens are open year round with special events and displays for each season. The Azalea Bloom-Out features 250,000 azaleas and usually reaches peak in early to mid-March. 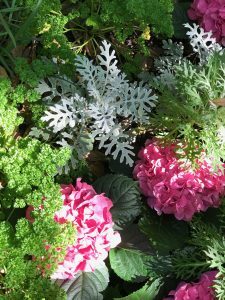 Spring also brings hydrangeas, impatiens, salvia, fuchsia and geraniums, among other favorites. 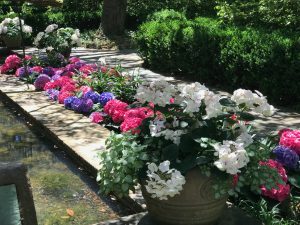 Summer brings more than 2,000 roses, hibiscus, begonias, bougainvillea, caladium, vinca, marigolds and more. 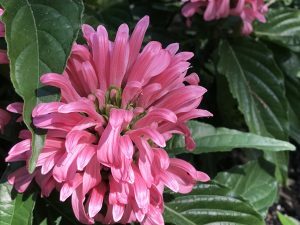 More than 8,000 bedded, potted and cascading chrysanthemums, hibiscus and copper plants show their foliage and blooms in the fall. Tulips, snapdragons, pansies, ornamental cabbage and kale, daffodils, poppies and narcissus burst forth in the gardens in winter. During the Christmas season, Bellingrath Gardens sparkles with displays of over 3 million lights and is called, “Magic Christmas in Lights.” The lights shine from the Friday following Thanksgiving through New Year’s Eve. $22.00 Adults; $14.00 Children Ages 5-12; Free for Children ages 4 or younger.